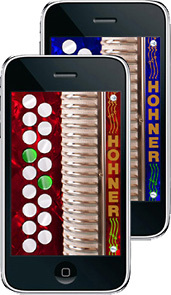 For iOS the B/C, C#/D and D/G tunings are all in one app, and now includes a B/C 2 1/2 row version! Plays and sounds like the traditional instrument. Practice chord combinations, scales, and songs on-the-go in five different key combinations and colors. Just learning? Show the note names on the large white pearloid buttons. Play any time through the iPad's speaker. Use headphones for private practice. Great for travel, roommates, or at lunch! Run the audio through your computer's speakers, a guitar amp, or your band's sound board. 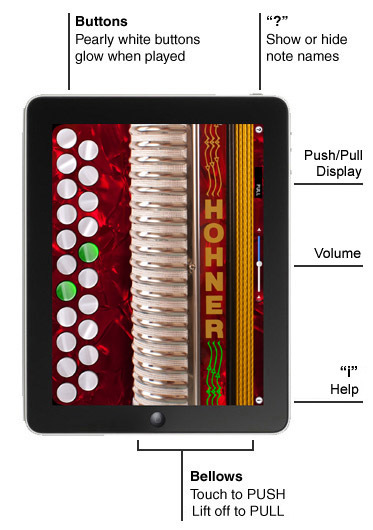 It's a Button Accordion - You Push and Pull it. 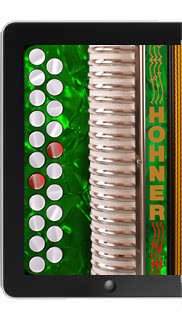 Just like the real thing, the Hohner Melodeon is bisonoric. That means it plays different notes when you push or pull the bellows. Touch the anywhere on the bellows or grill for PUSH notes. Lift your finger for PULL notes. The PUSH/PULL indicator shows the current bellows direction. Touch the buttons with your right hand to play. Buttons light up when touched. Press multiple buttons at the same time to play chords. Touch the ‘?’ icon to show / hide the note names. 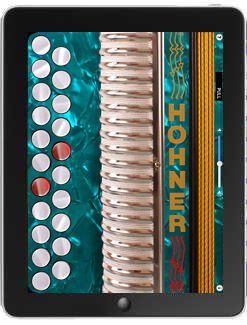 Notice that the note names change with the bellows direction. Play along with music in your iTunes collection. Touch the 'i' icon to bring up the Help screen. Touch anywhere in the Help screen to go back to playing. 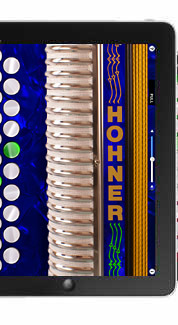 Touch the links at the bottom of the Help screen to visit the Hohner and AppCordions websites. All your settings are saved when you exit the app. Whether you are an experienced traditional musician, or are just learning to play, the virtual instruments from AppCordions are perfect for practice and performance. Entertain your friends with Traditional Irish Jigs and Reels, Scottish Marches, Cajun, Zydeco, Tex-Mex, Cojunto, Norteño, Columbian folk music, and more! I make every effort to respond to support requests as quickly as possible. Please be patient - we have day jobs. Thanks! 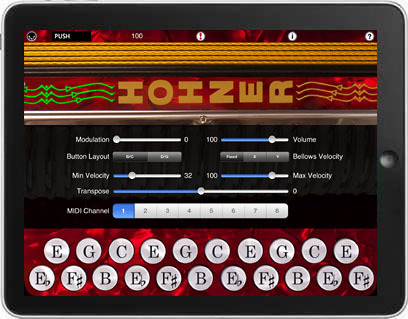 Play hardware or software MIDI synthesizers right on your iPad!